The Tech Trackers is blog about Blogging, SEO, Social Media, Technology updates, How-To guides, Did you know that stuff many more exciting stuff. 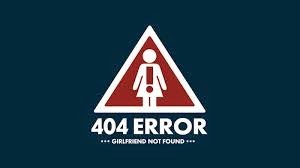 Why hackers Don't have Girlfriend..
1 . Because The time you were partying , we were busy in Hacking. 2 . The time you were playing , we were busy in Hacking. 3 . The time you were dating, we were busy in Hacking. 4 . The time you were sleeping, we were busy in Hacking . 5 . Overall, the time you were living, we were busy in Hacking. 6 . We cant express ourselves face 2 face because the time you were interacting , we were busy in Hacking. © 2016 The Tech Tracker . Powered by Blogger.